Initial Formation is a period of discernment for both the community and the candidate. The Formation Director of the community accompanies the candidate as she journeys through the different phases described below. 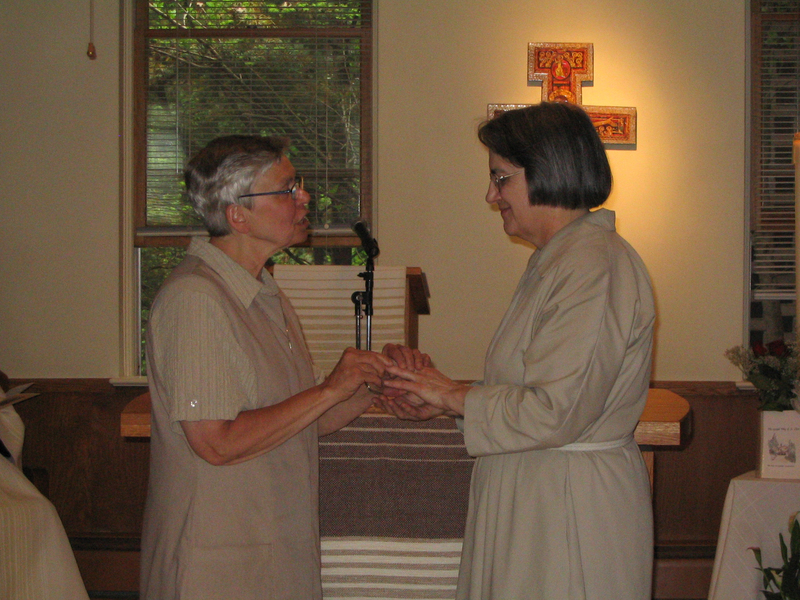 During this time the candidate also is gradually integrated into the community as she learns the practical as well as the spiritual aspects of Poor Clare life in community. This is a period of about a year when we spend time getting to know each other. We suggest that you come for several visits of varying lengths as your circumstances permit. At the end of this time when both parties are ready to take the next step, you apply for entrance into the postulancy. This is usually a one year period during which you live in community with the sisters so you can get an extended “real life” experience of what our life is like. At the end of this period if there is mutual agreement, you may apply for entrance into the novitiate. You are now a member of the community and the novitiate is a special time of learning the practical as well as the spiritual aspects of our life. This is a two year period, a sort of “spiritual sabbatical”. At the conclusion of the novitiate if there is mutual agreement, you may request admission to Simple Vows for three years. During this time you begin to assume more responsibility in the community and live the life fully as a professed member. This is the final step in the initial formation process. At the end of the three years of simple profession the discernment process is completed by mutual consent and you are accepted into full membership by Solemn Profession.